Tongue cancer is found in more young women with no known risk factors, according to a study by the National Cancer Centre Singapore (NCCS). 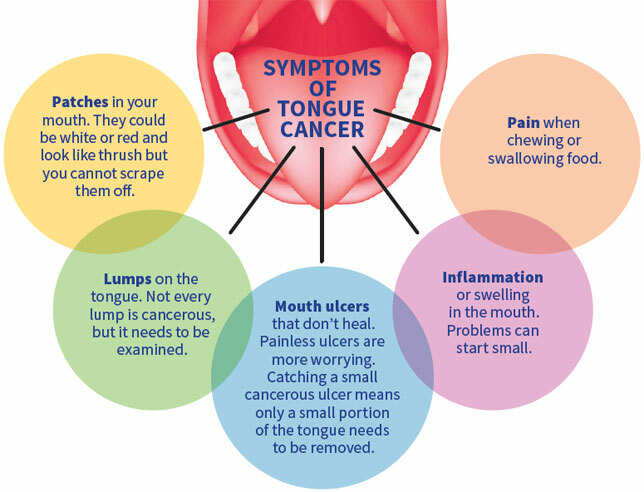 What are the reasons and how to prevent tongue cancer? affects more young women today. When 35-year-old Karen (not her real name) discovered an ulcer on her tongue, she consulted her family doctor. When it did not heal, she had it checked at a hospital, where they did a biopsy and told her she had nothing to worry about. But she had an uneasy feeling as the lesion was growing, although there was no pain. She researched it, then consulted a specialist at the National Cancer Centre Singapore (NCCS). Dr Gopal Iyer, Senior Consultant,Division of Surgical Oncology, National Cancer Centre Singapore (NCCS), a member of the SingHealth group, examined it and was worried even though the biopsy was negative. “I suggested surgery to remove it. I reasoned that if I was wrong she’d lose just a bit of her tongue. But if I was right, I’d have saved her from tongue cancer.” She agreed. “I removed a quarter of her tongue. She recovered well and went home two days after the operation. A week later, the results confirmed that the lesion was indeed cancerous,” Dr Gopal said. Karen was lucky to have caught it early. Her persistence, in the absence of obvious symptoms, paid off. In the past decade, NCCS has seen a three- to four-fold increase in tongue cancer cases among young women aged 35 to 55. Previously, most sufferers were men, with the ratio being three male cases to one female. Now, the incidence is equal between the genders. This trend is seen in other developed countries, but what is puzzling doctors here is that these female patients do not have the same triggers as before. In the past, a typical tongue cancer patient was an elderly man who had been smoking and drinking his whole life. Smoking is a known cause of tongue cancer, along with sexually transmitted diseases (STDs) such as the human papillomavirus (HPV). Today’s female patients do not have HPV or other STDs. They do not smoke, drink, or chew betel nut or tobacco. Nor are they associated with recently suspected causes – poor dentition (sharp teeth or badly fitted dentures) or the long-term consumption of immunosuppressants following treatment for kidney cancer, leukaemia or lymphoma. Undeterred, they moved on to genome sequencing − at press time they had sequenced 18 samples, and were decoding the tumour’s genetic information and analysing the data they had collected. Definitive answers have not yet been found, but Dr Gopal has learnt enough to propose two theories. Firstly, many women with tongue cancer may already have a higher genetic risk of the disease. This risk, combined with a previous short but sustained exposure to cigarettes (whether by smoking or inhaling second hand smoke), may kickstart the cancer. Secondly, there is a suspected (though unconfirmed) link with diet. According to Dr Gopal, these young women with a higher genetic risk of tongue cancer may have also been eating processed foods and cooked food with carcinogens. Besides this, he also cited a study showing a link between the overuse of alcohol-based mouthwash and tongue cancer.